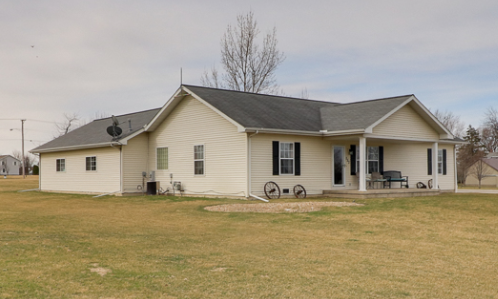 Beautiful 3 bed, 2 bath ranch home tucked away at the edge of Minonk! Sitting on a massive lot with barely any neighbors, you’ll think you’ve found a country oasis at half the cost! The gigantic, HEATED 28×40 attached 3-car garage sits rear of the property led to by the large driveway… more than enough space for multiple vehicles! Inside you will find features such as updated paint & flooring, master suite with large tub/separate shower, & more! All appliances stay!